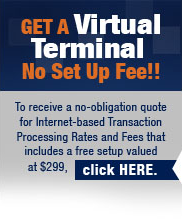 Wireless credit card processing terminals help you accept payments anywhere you go. Wireless terminals are compact and portable, so you can carry them with you wherever you need to process credit card payments. Wireless terminals have the ability to print a receipt wherever you take payment cards. All our equipment is PCI & EMV® chip card compliant. Get the answers you need before you buy. Call 1-866-474-4144 today to talk with a knowledgeable customer service representative.